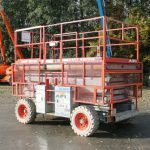 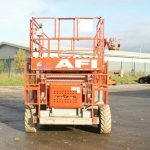 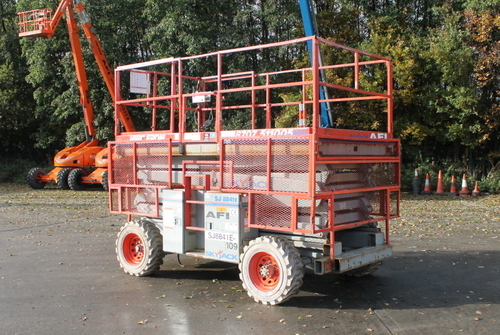 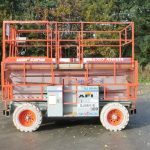 The Skyjack SJ8841E electric scissor lift, with a working height of 14.5m, takes efficiency and terrainability to a new level. 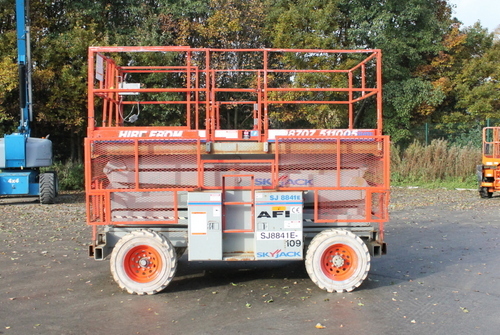 Eight 6 volt batteries drive the 48 volt DC electric motor. 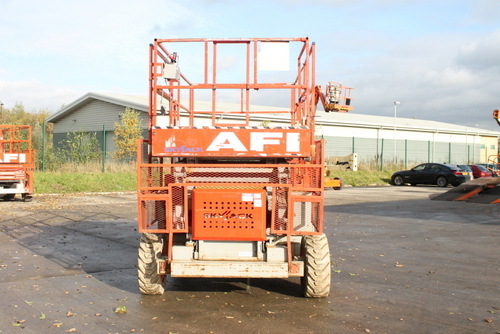 These units offer 30% gradeability and offer capacities up to 681kg.